Bataan 1st District Geraldine Roman appears impressed with the results of the initial phase of the cleanup of Manila Bay on Sunday. 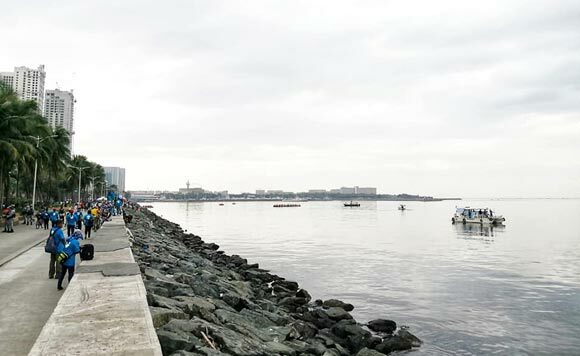 “Manila Bay has now a garbage-free coastline,” Roman said on her Facebook page, repeating an excerpt of a local news headline about the event, the link of which she also shared. Initiated by the Department of Environment and Natural Resources, the so-called “Battle for Manila Bay” was carried out by various government agencies and private volunteers. The rehabilitation activity was also implemented in the provinces of Bataan, Bulacan, Pampanga, and Cavite where Manila Bay stretches. “If there’s a will, there’s a way… Kung talagang gusto, may paraan,” Roman said of the activity. “Kung may pagkakaisa, may mangyayaring pagbabago,” she added.